This combination tour will allow you to learn about Costa Rica’s Golden bean (coffee), explore the beauty of the Poas Volcano and enjoy the natural beauty of the waterfalls at La Paz. Free day at Xandari Resort. Would you care for a relaxing massage or therapy at the SPA? 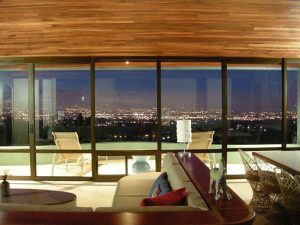 Xandari’s 5 jalapas have its own hot tub and massage table, with a full, delightful view of the Central Valley. You can choose from one the varied options of treatments, scrubs and massages. Around 3 ½ hours before your flight departure time we will pick you up at your hotel in San Jose for the departure transfer to the airport. Check in time for International flights is 3 hours prior. Have you been thinking about coming to Costa Rica but haven’t found the time? This is then, the right program for you. 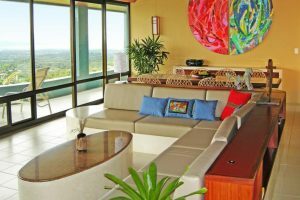 A 5 day & 4 night trip to relax, unwind and enjoy the beauty of mountains of Costa Rica, near the Poas Volcano and take a day tour to a beautiful white sand beach, just 1;30 hours away from the city. Definitely a great start for your love of Costa Rica. Welcome to Costa Rica! After clearing customs and immigrations, our airport representative will meet you, help with your luggage and drive you to your hotel in the mountains of Alajuela, the delightful Hotel Xandari. There’s no better description to this little jewel than the one given by the hotel “An unique creation, with tropical colors and contemporary design”. With its own forest reserve (with 5 waterfalls and trails, the landscaped gardens, the farm and the Orchid House, Xandari will inspire you and invite you to relax, unwind and leave the bustle and hustle of the city behind. This boutique hotel features a SPA, nature trails & forest, excellent dining at the terrace, swimming lap pools, fruit orchard and plenty of space to relax. Please don’t miss the opportunity of enjoying breakfast at your own private terrace, the view of the Valley is amazing! Doka Estate is famous for its coffee of very high quality and its long tradition as a family business with more than 3 generations already producing some of the best coffee in Costa Rica. The visit to the Estate will begin in the field to learn about the plant and its biology, following by a visit to the working processing plant and ending at the roasting area. This tour will show you all the work that is done to, in the end, fill your cup with the best of Costa Rican coffee. 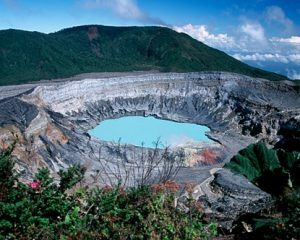 The trip will continue with the visit to the Poas Volcano and Botos Lagoon. Poas is an active volcano that sits at approximately 8,800 feet above sea level (2,700 meters) and offers unique views of the crater and its fumaroles (weather permitting), while the walk up to the Botos Lagoon, is a great scenario for beautiful pictures. To finish the day in a great way, we’ll continue to La Paz Waterfall Gardens. A walk through the trails will lead to some of the most impressive waterfalls in Costa Rica. Along the walk, 5 different waterfalls will appearand delight your senses with its beauty. Magia Blanca waterfall viewing platform will allow you to take pictures, under the waterfall; other great photo opportunities at Templo and Encantada waterfalls as well. Punta Leona, is a private resort at the beach just 1 ½ hours away from San Jose. On this day tour you will have the opportunity of enjoying the beautiful white sand beach at Playa Blanca, and the clear blue waters of the Pacific Ocean. One of the greatest things about the ocean in Costa Rica is the mild temperature of the water, which will make swimming here a true delight. The calm waters of the Pacific at Playa Blanca, will spoil you today. Before returning to San Jose, we will enjoy lunch at the Restaurant in Punta Leona, watch out of the Red Macaws that love to roam around, they might make you fall in love in them! You may also want to enjoy a walk at the Hotel’s private set of trails, going through the fruit orchard, visiting the waterfalls and enjoying the natural beauty of the area. We thank you for your visit and wish that the memories of this trip will long last in your mind! Today we’ll start our journey, and our first stop is the unique Tortuguero Canals and National Park in the North Caribbean Coast of the Country. After breakfast, your guide will guide you through Mawamba’s gardens to learn about plants (ornamental, medicinal, and fruit trees). This morning, after breakfast, begin your journey back to mainland, as a reverse of trip in. A day to discover the impressive beauty of the Arenal National Park on foot. Mid-morning, we will pick you up at your hotel and depart from Arenal to the Cloud Forest of Monteverde, on a wonderful journey, that will drive you to the mystic Lake Arenal, cross it by boat, and have the bus meet you again on the other side to continue the drive to Monteverde. A day of adventures waits for you. Today, we’ll leave the mountains behind, to drive up the mountains of Guanacaste to Rincon de la Vieja National Park. Today will take you on a great adventure. Start off with your choice of Canopy tour or Hanging bridges, followed by a trip on horseback or tracto the the Salitral Waterfall, finished up by the unique waterslide in the mountain, a signature adventure by Buena Vista. All great things come to an end. Today it is time to return to San Jose for your last night before returning home. Welcome to Costa Rica! After clearing customs and immigrations, our airport representative will meet you, help with your luggage and drive you to your hotel in the city of San José. Overnight at Hotel Park Inn in Paseo Colon. Today we’ll start our journey, and our first stop is the unique Tortuguero Canals and National Park in the North Caribbean Coast of the Country. 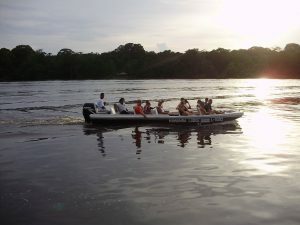 Often compared to as the “Little Amazon of Costa Rica”, because of its network of lakes, rivers and canals that interconnect to create a unique Rainforest land that’s reachable only by boat our by plane. Its residents, about 1800, share this wonderland with more than 300 bird species identified so far, and an unique of array of wildlife that includes four species of monkeys, caimans, crocodiles, toucans, macaws, sloth and much more. Day 04: This morning, after breakfast, begin your journey back to mainland, as a reverse of trip in. Arrive around 1:00 pm for lunch in Guapiles. Afterwards, your journey will continue, with a private drive to La Fortuna area and Arenal Volcano. You will arrive in La Fortuna approximately at 5:30 pm, just in time to enjoy the natural thermo-mineral waters at the pools at Arenal Paraiso Hotel, sourced from the Arenal Volcano. The hotel’s 13 pools vary in temperature so you can relax and enjoy the one (or ones) you enjoy the best. Day 05: A day to discover the impressive beauty of the Arenal National Park on foot. During the tour, you will have an opportunity to feel and explore the natural surroundings of the volcano, while learning about the wildlife that resides in the area. 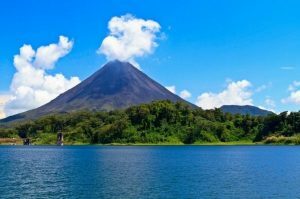 You will enjoy a hiking tour to the Arenal National Park and after that a delicious visit to the hot springs with an amazing dinner. Day 06: Mid morning, we will pick you up at your hotel and depart from Arenal to the Cloud Forest of Monteverde, on a wonderful journey, that will drive you to the mystic Lake Arenal, cross it by boat, and have the bus meet you again on the other side to continue the drive to Monteverde. Founded by Quaker families who came to Costa Rica searching for a new life, peace and tranquility, Monteverde has become a referent for the great array of wildlife that resides in the area, the delicious mountain fresh weather and even the great adventures one can discover in the area. Today, we’ll leave the mountains behind, to drive up the mountains of Guanacaste to Rincon de la Vieja National Park. Famous for its hikes, mud baths, great action and adventure tour, Buena Vista & Rincon de la Vieja is just the right ending to a trip full of adventures and discoveries in Costa Rica. Today will take you on a great adventure. 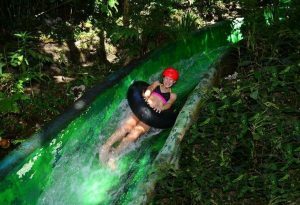 Start off with your choice of Canopy tour or Hanging bridges, followed by a trip on horseback or tracto the the Salitral Waterfall, finished up by the unique waterslide in the mountain, a signature adventure by Buena Vista. Today you will also enjoy a plentiful lunch, made with much of the local and organic product grown at Buena Vista. 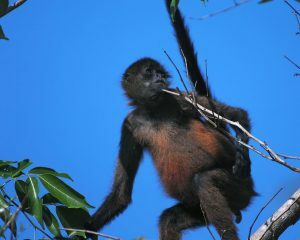 By the end of the day, you will have enjoyed a unique adventure in the forest of Guanacaste. Welcome to Costa Rica! After clearing customs and immigrations, our airport representative will meet you, help with your luggage and will drive you straight to the town of Sarapiqui. Discover the forest at Selva Verde Lodge, a haven for nature enthusiasts and those who thrive on hikes and birdwatching. Today the trip will continue to Tortuguero. Depart Selva Verde with your driver early morning to meet with the group that goes to Tortuguero at 8:00 am in Guapiles, where breakfast will be served. After a healthy breakfast, pack up for your return raft trip that will consist of class III-IV rapids on the lower Pacuare, and more great class IV rapids in the gorge. These days are yours to enjoy the beauty of Caribbean beaches, lined up and protected by palm trees, unique rainforest and the unique opportunity to be on the beach but completely surrounded by jungle. Around 3 ½ hours before your flight departure time we will pick you up at your hotel in San Jose for the departure transfer to the airport. The Caribbean side of Costa Rica will always be a great new adventure. With lush rainforests, unique evergreen areas and the most laid atmosphere it is a great off the beaten track adventure. September and October are great months to come to the Caribbean, as contrary to what happens on the Pacific, it is the best of the summer time on the Caribbean, BUT don’t forget that the Caribbean side is also a year round destination waiting to be discovered. Today the trip will continue to Tortuguero. Depart Selva Verde with your driver early morning to meet with the group that goes to Tortuguero at 8:00 am in Guapiles, where breakfast will be served. 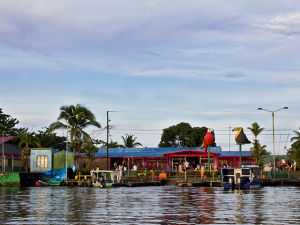 Often compared to as the “Little Amazon of Costa Rica”, because of its network of lakes, rivers and canals that interconnect to create a unique Rainforest land that’s reachable only by boat our by plane. Its residents, about 1800, share this wonderland with more than 300 bird species identified so far, and an unique of array of wildlife that includes four species of monkeys, caimans, crocodiles, toucans, macaws, sloth and much more. Your selected hotel is the Park Inn Hotel in Paseo Colon. We thank you for your visit and wish that the memories of this trip will long last in your mind!.